Whet your appetite for trekking and scenery with an acclimatization hike from the lodge to glacier-fed Lake Humantay with views of Mt. Salkantay, a sacred mountain in Incan mythology. 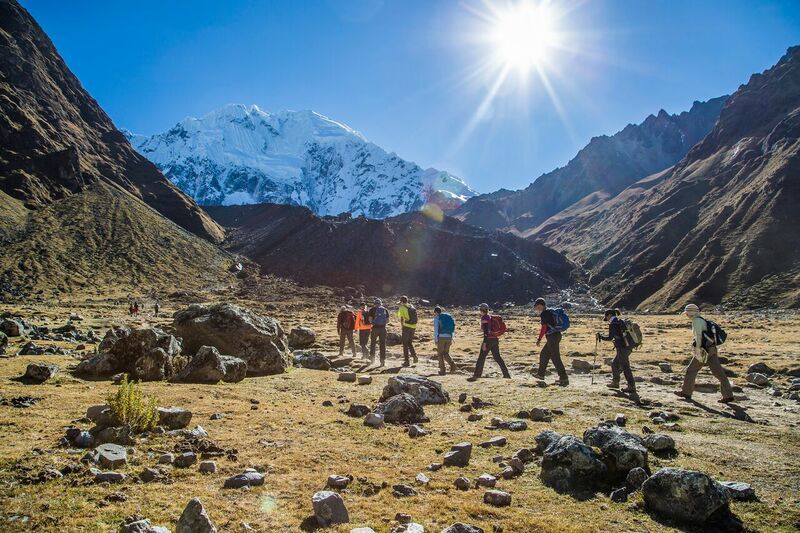 Today’s the big day—we reach the trek’s highest point on the Salkantay Pass (4,638 m/15,213 ft). Take in views of snowcapped peaks of the Vilcabamba Range in every direction and the glaciated south face of Mt. Salkantay towering above. We begin our descent along the Salkantay River, where warm air starts rising from the jungle, accompanied by colorful butterflies and striking orchids. At Colpa Lodge, we’ll be greeted with a Pachamanca, a traditional Peruvian meal. Today we hike through more populated rural areas, passing through banana, granadilla and avocado orchards. We’ll picnic by the river, and later tour a coffee plantation before arriving at Lucma Lodge, which is surrounded by its own avocado trees. On our last trekking day, we hike along the Llactapata Pass and come upon a distant but spectacular view of Machu Picchu Sanctuary from the southeast, a view few travelers ever get a chance to admire. Then we’ll make our way to the train bound for our ultimate destination: Machu Picchu. We will take an introductory two-hour guided tour of the ruins, after which we have the rest of the morning to explore the site on our own or hike the steep Huayna Picchu for expansive views.